Already moved by the Penang Manifesto of 1989 and realising the enormity of the climate crisis, "Save the Forest Save the Planet" (what would become GCI a year later) devised a founding statement based on the precautionary principle of Equity & Survival. At the 2nd World Climate Conference in November 1990, the UN began to create the Framework Convention on Climate Change [UNFCCC]. The Global Commons Institute [GCI] would be founded in 1991. However, with particular respect to Messrs Bach, Koomey & Krause, we issued this statement to the Conference. In June 1992 the United Nations Framework Convention on Climate Change (UNFCCC) was agreed at the Earth Summit in Rio. 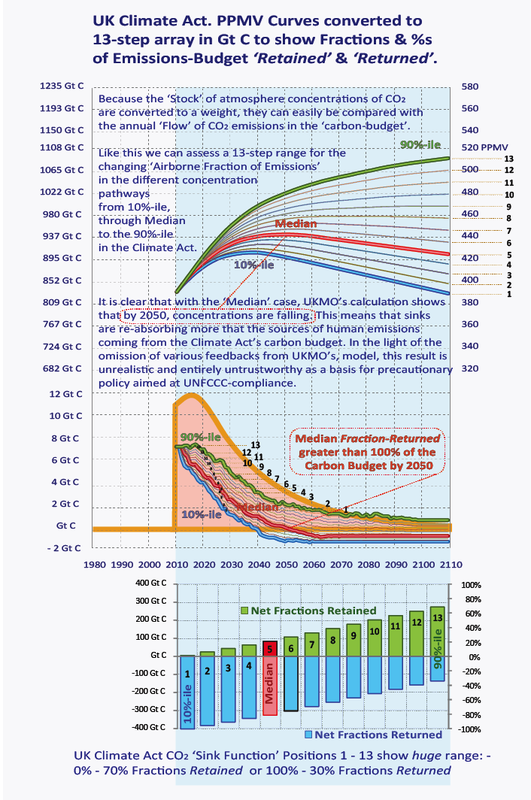 The UNFCCC objective is stabilizing the rising greenhouse gas [GHG] concentration in the global atmosphere. Its principles of equity & precaution were established in international law. "The Economics of Genocide" & it was upheld by the IPCC in SAR. GCI also created the methodology of the 'Contraction and Convergence' (C&C) calculating model. 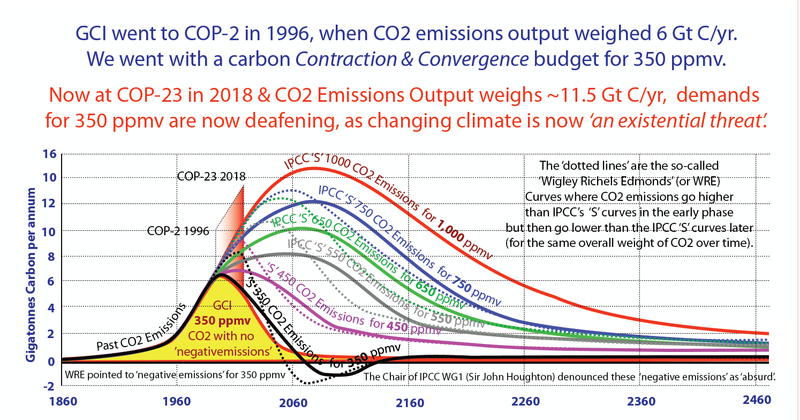 Guided by early output from the 'Berne Climate Model', the carbon-budget-integral methodology of C&C takes the Global Per Capita Average of emissions arising, as the organising standard for joint/several global emissions accounting for UNFCCC-Compliance. 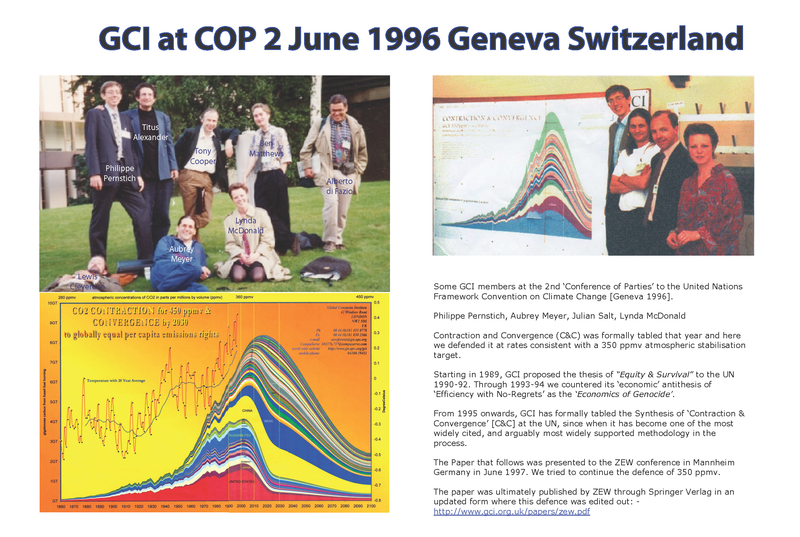 C&C for 350 ppmv was introduced by GCI at COP-2 of the UNFCCC in June 1996 where GCI called for a declaration of 'climate emergency'. We were encouraged to exhibit a less demanding example of C&C. This we did showing history and this image for 450 ppmv with convergence by 2030 became iconic which, along with its variations & derivatives have been used extensively around the world since that time. In March 1997, at the COP inter-sessional the Government of the USA asked GCI for support based on GCI's interpretation of the Byrd Hagel Resolution. As a result of giving this support, the US & Chinese Governments asked GCI to visit and try to recruit support for C&C. This was done during June & July 1997. GLOBE International adopted C&C in May 1977 and in June GLOBE USA supported GCI's interpretation of the Byrd Hagel Resolution. The Byrd Hagel Resolution was passed unanimously by the US Senate (95-0) in July 1997. 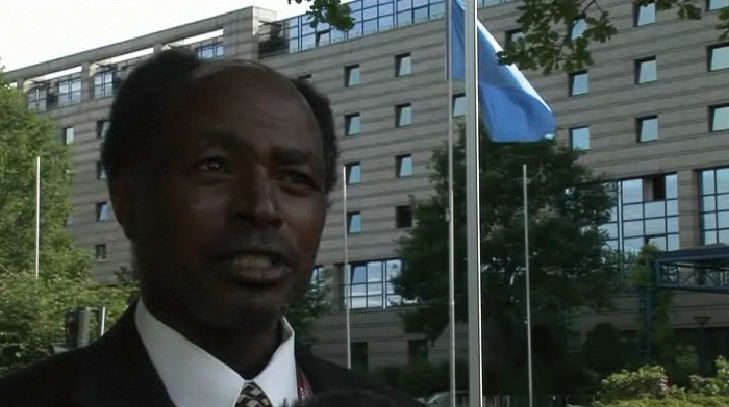 In August 1997, at the next COP inter-sessional, the South African Government asked GCI to address the Africa Group. We did and at that session, the Africa Group produced a joint statement in support of C&C. 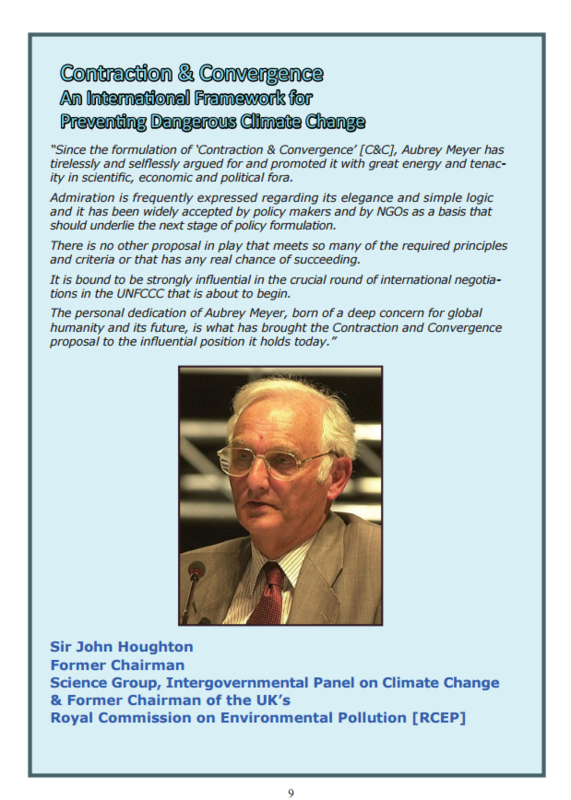 In November 1997 Meyer/GCI/C&C received the Andrew Lees Memorial Award, the British Environment Media Award "Aubrey Meyer, almost single-handedly and with minimal resources, has made an extraordinary impact on the negotiations on the Climate Change Treaty, one of the most important of our time." The campaign-director of Greenpeace said; "Scientists defined the issue; Governments ran off with the issue; There was no campaign: NGOs adopted secondary roles; The issue had no public; There was no common proposition. Only extraordinary individuals such as Aubrey Meyer, father of 'C&C', managed to penetrate this remote citadel." In December 1997, a C&C-based way-ahead was debated in the final session of COP-3, with strong interest from India, China the Africa Group the USA. The USA stated, "C&C contains elements for the next agreement that we may ultimately all seek to engage in." GCI asked HMG to support that emerging consensus. 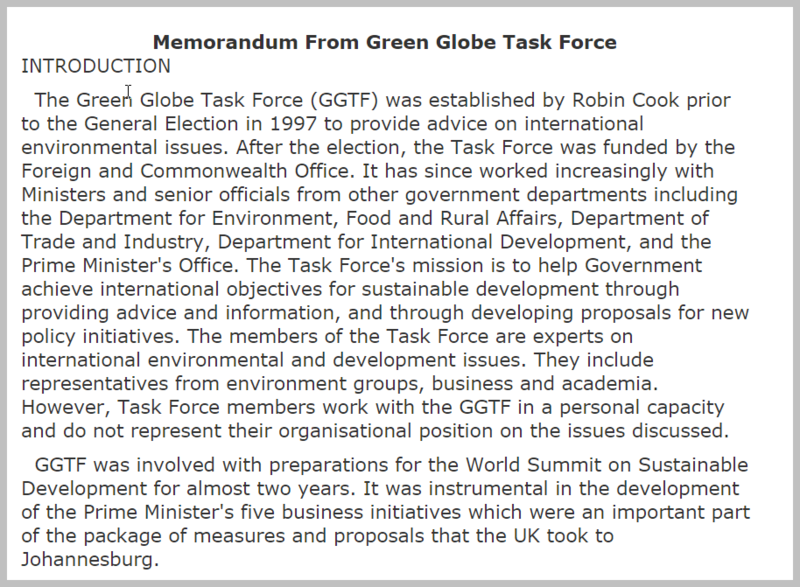 A UK delegate (& member of the 'Green Globe Taskforce') said, "we know its right, but we can't and we won't." This is noteworthy, only because ten years later, the UK would make C&C the basis of the UK Climate Act, in what they claimed (& still claim) as 'global leadership'. Influenced by Sir John Houghton, in 2000, the UK's Royal Commission on Environmental Pollution (RCEP) adopts C&C in its Climate Energy Report. It was to become a widely quoted & path-steering reference, as this report made C&C the key policy-recommendation to the UK Government & this defined the debate leading to the UK Climate Act in 2008. In July 2000, the RCEP Chairman Sir Tom Blundell wrote a letter saying how much the RCEP valued GCI's pioneering work over the years making the case for 'Contraction & Convergence', adding this had enabled them to develop their own arguments more effectively. In 2000 Springer Verlag published the first peer-reviewed commentary on C&C. This included material GCI distributed at COP-2 stressing the dangers of positive feedback loops. In 2002 PIU Energy Review (UK Cabinet Office) acknowledging the RCEP, refers to C&C as part of "a leading approach" (page 47) following a memo to PIU from GCI. In September 2002 the Minister of the Environment Michael Meacher wrote to GCI acknowledging, "the need to protect the integrity of the C&C argument." In 2003 DEFRA published a memo, "building on the work of the RCEP which used a Contraction and Convergence methodology developed by GCI." 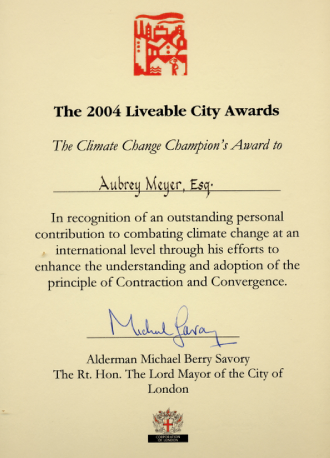 For "outstanding efforts to enhance the adoption of C&C" in 2004, the City of London makes a "Lifetime's Achievement Award" to Aubrey Meyer. In September 2005 Dr David Griggs of the UKMO's Hadley Centre, wrote to GCI stating their requirement of a trademark for C&C if they were to comply with request to cite GCI as authors of C&C and to use GCI's definition statement C&C. Trademark certification was obtained and a C&C definition statement published by ICE. In 2006 Colin Challen MP introduced the UK Climate Act (Contraction & Convergence) as a Private Members Bill in the UK Parliament and this was a significant step towards what became law in 2008. An archive of developments till 2009 is here. Work in Whitehall & Parliament & its Committees and around the world (2000-2007). This included numerous reports by Parliamentary Select Committees repeatedly advocating C&C to the UK government. CCC Chairman Adair Turner wrote to the Minister Ed Milliband saying, "it is difficult to imagine a global deal without going to average emissions per capita in 2050." 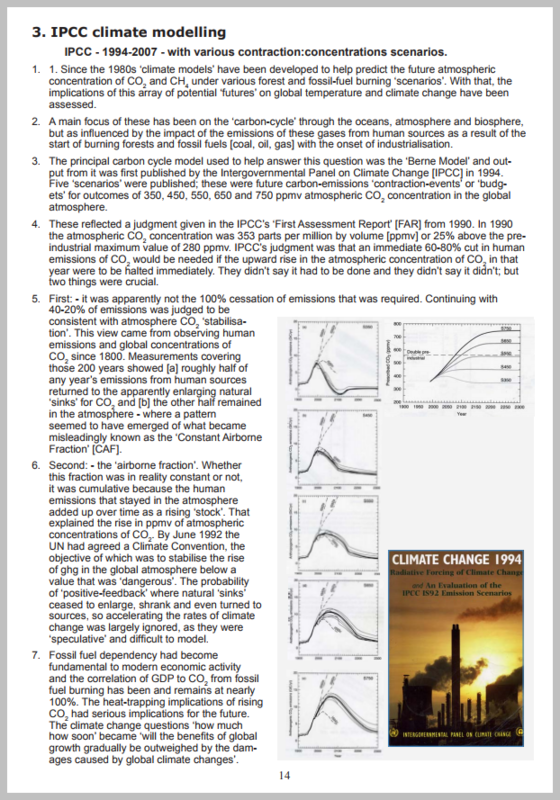 Leading to the UK Climate Change Act becoming law in 2008 based on this optimistic & unlikely contraction:concentrations prognosis C&C had developed huge support for its simple elegant logic (Houghton) & an all-party committee of UK MPs made C&C the basis of their nomination for the Nobel Peace Prize in 2008. In June 2009 and prior to COP-15 in December, the Chinese Government published strongly pro-C&C material. Deliberately ignoring this while proselytizing for the UKCA, the UK Energy Minister came back ludicrously blaming the Chinese for the failure of the talks. In 2009, Adair Turner, then Chairman of UK Climate Change Committee, said in HoC that C&C is the basis of the UK Climate Act (UKCA): -"In the UK Climate Act we have endorsed the C&C principle. Its pretty strong support for what Aubrey Meyer has said. we didn't call it that - it became emotive for reasons I don't really understand." (Looking at Assumptions here might help understanding statements of this nature) . . .
to have emissions per capita in 2050 which are significantly above a sustainable global average." the convergence rate would have to be accelerated relative to that . . . "
"the intellectually and morally coherent principle of Contraction & Convergence". "He is a good gentleman. He's been on this issue for years and he's not giving up. If we had all been as strong as Aubrey we would have achieved very high levels."